The medicinal use of cod liver oil dates back at least to the 18th century, according to a 2003 article in the journal "Pediatrics," long before the discovery of the omega-3 fatty acids and vitamins that make it a nutritional powerhouse. Cod liver from Norway is especially prized because of its origin in unpolluted waters. Use Norwegian cod liver oil only under the supervision of your physician. 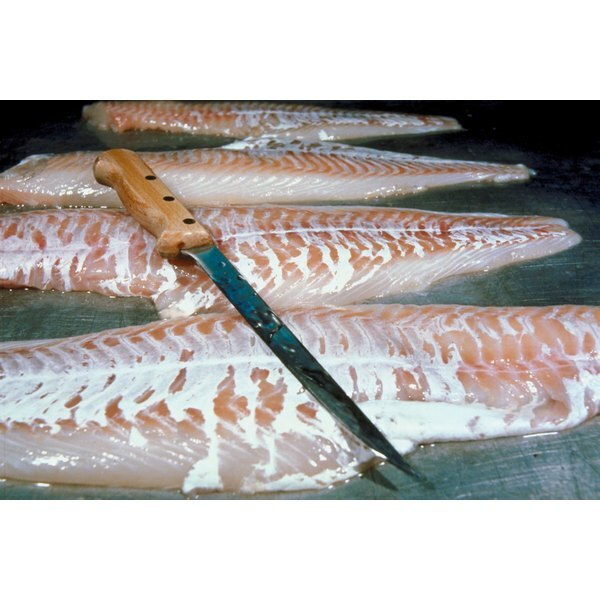 Norwegian cod is also known as skrei, a word that comes from an archaic Norwegian term for "walk." That word refers to the long journey these cod make from the Arctic Ocean's Barents Sea to Norway’s coastline. The traditional way of cooking skrei is as a boiled dish made with the fish plus its liver and roe. This dish has provided Norwegians with ample omega-3 fatty acids plus vitamin D. Vitamin D, which the body can synthesize upon exposure to sunlight, is important for Norwegians. The country is plunged into darkness every winter, with some areas receiving three hours of sunlight or even less per day. Today, people can derive the nutritional benefits of Norwegian cod by taking Norwegian cod liver oil. One tablespoon of a popular brand of Norwegian cod liver oil contains 91 percent of the average daily value of vitamin A and 108 percent of the average daily value of vitamin D, according to the Office of Dietary Supplements at the National Institutes of Health. Vitamin A supports the health and functioning of the reproductive system, the skeletal system and the eyes. Without adequate vitamin A, a condition called "night blindness" can result, in which the eyes fail to acclimate to dim light. Vitamin D is sometimes called the "sunshine vitamin" because it is synthesized within the body upon exposure to sunlight. Today, many people spend more time indoors than outside, making it necessary to obtain vitamin D from dietary sources. Vitamin D is vital for bone health. Recent evidence suggests that adequate levels of vitamin D may reduce the risk of developing osteoporosis, certain cancers, autoimmune disorders and high blood pressure, according to MayoClinic.com. Omega-3 fatty acids are essential nutrients, meaning that they cannot be manufactured within the body and so must be consumed through the diet. The benefits they bring to the cardiovascular system are so well established that the American Heart Association, or AHA, now recommends that most people consume two servings of fish weekly. Omega-3 fatty acids help reduce the occurrence of the irregular heartbeats that sometimes lead to sudden death. They also can reduce lipid levels in the blood, slow the hardening of the arteries and reduce hypertension. Norwegian cod liver oil can provide adequate omega-3 fatty acids to non–fish eaters, but the AHA recommends that you consult your physician before using it. Is Cod Liver Oil an Anti-Inflammatory?